We usually beat our competition! BULK ORDERS. FIND A LOWER PRICE?. Hawaii, and Alaska. 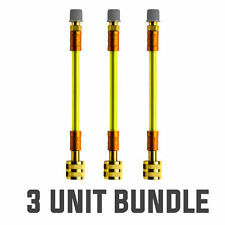 HVAC Professionals Bulk Pack - Best offers accepted! Now with UV dye for detection of large leaks! USA Made! Refrigerant Leak Seal With UV Dye to find large leaks! This will prevent Xpress Seal from reacting inside your system. Xpress Seal is the fastest refrigerant sealant on the market. Unlike other products, Xpress Seal travels with the refrigerant gas while other products travel with the oil. Xpress Seal A/C Enhancer. Xpress Seal A/C Enhancer ENERGIZE AIR CONDITIONING SYSTEM Easy Use. Xpress Seal A/C Enhancer up to 5 tons. Xpress Seal A/C Enhance unique formula enhances the performance of A/C and refrigeration systems and is now available in Vapco’s easy to use direct injector tube. Supco # HS10004. 4 ounces plastic jar. Will stick to all clean surfaces. Information on this site may contain technical inaccuracies or typographical errors. Information, including product pricing and availability, may be changed or updated without notice. Piercing Valve & Hose. Mfg. # 4051-99. Lubricator • Conditioner • Seals Multiple Leaks. R3-AC Leak Repair® will stop leaks of refrigerant gas in air conditioning and refrigeration systems. R3-AC Leak Repair® is compatible with all refrigerantsand refrigeration lubricants. Nu-Calgon Wholesaler Inc A/C EasySeal Leak Sealant. 2 Cans. 4050-06 1 Hose. 4051-99 with Piercing device. Circulates with the refrigerant for quick reaction to stop a leak. Compatible with all refrigeration lubricants and HCFC and HFC refrigerants. Nu- Calgon 4364-88 ------- 4 units. Condition is New. Shipped with USPS Priority Mail. 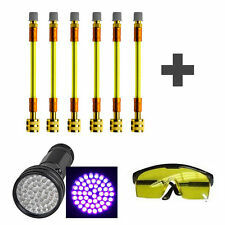 Included exactly what is pictured. 77°F (25°C). FLUSH RX11. Kindly provide us with your Appliance Model Number and we will check if it's the right part you need. Are you worried the product may not fit your appliance?. Enviro-Safe Stop Leak VS 1/4 oz can #2040a. Part#: 2040a. Enviro-Safe Stop Leak VS 1/4 oz can. Enviro-Safe Stop Leak VS. When Enviro-Safe Stop Leak is added to your a/c system, it reconditions the rubber o rings and seals. Kindly provide us with your Appliance Model Number and we will check if it's the right part you need. Are you worried the product may not fit your appliance?. SCL #: 188125. DUCTMATE INDUSTRIES. Mfg: DUCTMATE INDUSTRIES. 5/16" x 3/4" x 50FT ROLL NEOPRENE GASKET. NEOPRENE GASKET, THICKNESS:5/16", WIDTH:3/4", LENGTH:50FT, WEIGHT:1LB, ORIGIN:UNKNOWN. 2015 Federal Regional Standards for Heating and Cooling Products. LINE SET TOOL RX11. Kindly provide us with your Appliance Model Number and we will check if it's the right part you need. Valid Appliance Model Numbers: None. Are you worried the product may not fit your appliance?. Kindly provide us with your Appliance Model Number and we will check if it's the right part you need. Check-Out Now! Due to the multiple quantities available, you may not receive the item pictured in the ad above. 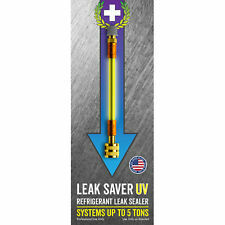 The Leak Savers Direct Inject For systems up to 5 Tons (60,000 BTU). It seals small refrigerant leaks permanently and prevents future leaks. 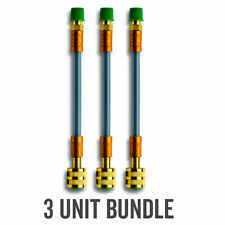 The Leak Saver can also be used in multiples for larger systems. Leak Saver Direct Inject Dry - For systems up to 5 Tons. Works great before using Leak Saver Direct Inject AC refrigerant leak sealer products. Made in the USA! 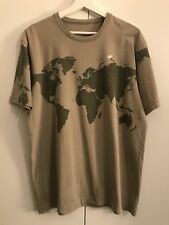 RARE Boxfresh T-Shirt. Excellent Condition.